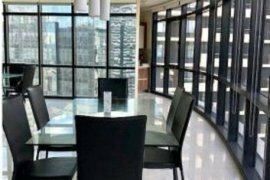 For Rent 2 Bedroom Arya Residences Bonifacio Global City Taguig. Office Space for Lease in Insular Life Building Baguio. 2 BEDROOM HOUSE AND LOT FOR SALE IN TALAMBAN CEBU. The Residence at Greenbelt 1-Bedroom Condo for Rent. 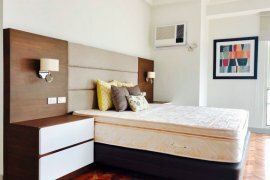 For Rent: One Rockwell- 2 Bedrooms, furnished with parking, 152 sqm, Rockwell Center, Makati City. The Residences at Greenbelt 2-Bedroom Condo for Rent. Newly built Transient Units For Daily/Weekly/ Monthly Rent!. Single detach near Lourdes grotto for Rent!. Eagle Crest Ph1 Bakakeng Baguio City. COMMERCIAL SPACE FOR RENT ALONG MARCOS HIGHWAY. Newly renovated Hotel Building for Rent. Cedar Peak Condo Unit within the central business district. For Rent Spacious 1 Bedroom Condo in Green Valley. Baguio breeze apartment for rent. Outlook Ridge Residences 2 bedroom/2 CR condominium S-101. Nice 2-bedroom unit at Outlook Ridge Residences. Brand New Condo for Transient/Rent. Condominiums For Sale in the City of Pines!. Baguio City Condominium(rent to own and transient). Hello, Please contact me, I am interested in properties for Rent in Baguio. Best Regards. Dot Property Philippines is an online property portal where thousands of property searches happen every day. Start your search today for affordable property for rent in Baguio from 38 available listings. Condominiums, houses, commercial space, and luxury properties are available for rent in Baguio. Baguio’s properties for rent are either listed by private home owners or property agents such as Michelle Madarang - Trusted Real Estate Broker, Gena Mahinay-Rilling and loreza 'dexra' asistio. The average asking price for property rentals in Baguio is ₱ 0 for condos and ₱ 0 for houses. Refine your search to help you find the perfect Baguio property by price and number of bedrooms.